With a nod towards The Wizard of Oz let us tell you all about this online slot from The Games Company called Witch of the West; this particular hag is not wicked and in fact, she may even help you out with some winning combos and free spins so keep reading to find out more. Witch of the West is a five reel slot with three rows and fifty fixed paylines; some appropriately witchy music accompanies your gameplay which takes place on an ornate set of reels floating in some spooky woods. The higher value symbols are all related to the theme and include the witches broomstick, her hat, the black cat and a bat; 9, 10, J, Q,. K and A represent the lower values and they’re designed as bottles of brightly coloured potions. Reels two, three and four can contain colossal symbols which can cover all positions on those reels. Colossal symbols can be the high-value ones, the wild or the scatter. 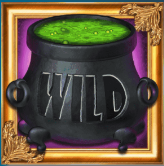 The wild is a cauldron full of some bubbling green mess and it will replace all others to help form winning combos except for the spellbook scatter symbol. 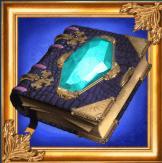 On any spin the witch may turn a colossal symbol into a different one to give players the chance of another win. Three Scatters – 4 free spins. Four Scatters – 5 free spins. Five Scatters – 6 free spins. Six Scatters – 8 free spins. Seven Scatters – 9 free spins. Eight Scatters – 10 free spins. Nine Scatters – 15 free spins. Ten Scatters – 20 free spins. Eleven Scatters – 50 free spins. Witch of the West is a relatively simple slot which does what it says on the tin but it’s certainly enhanced by the witch and her colossal symbols; there are plenty of free spins on offer for the luckier players and an RTP of 96.50%. Grand Duke Copyright © 2019. Grand Duke is powered by Nektan (Gibraltar) Limited, a company registered in Gibraltar. Nektan is licensed and regulated by the Gambling Commission (Number 000-039107-R-319400-013) for customers in Great Britain and licensed by the Gibraltar Government and regulated by the Gibraltar Gambling Commission (RGL no.054) for all other customers.